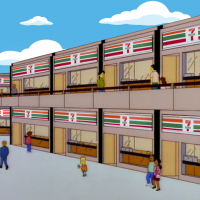 Screen capture of YouTube video showing new 7-Eleven X-Store. 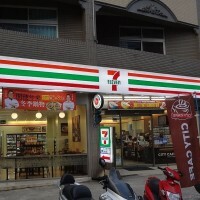 TAIPEI (Taiwan News) -- 7-Eleven Taiwan's operator President Chain Store Corp. (統一超) announced yesterday (Jan. 29) that it has opened its first experimental unmanned store in its corporate headquarters, meanwhile rival Family Mart (全家) will be launching its first wave of technology concept stores making use of artificial intelligence to make coffee and offer other services, reported CNA. The first X-Store in Taiwan is located in corporate headquarters as during the initial testing phase it will only be open to internal company employees, and instead of staying open 24 hours or from 7 a.m. to 11 p.m., as the name implies, it will at this stage only be open from 7 a.m. to 7 p.m. The store will employ a variety of new software and hardware to operate a new series of services provided via facial recognition technology including "Face in," for entry to the store; "Face pay," to make payments; and "Face go," for checkout. Screen capture of video showing demonstration of 7-Eleven's new facial recognition technology. 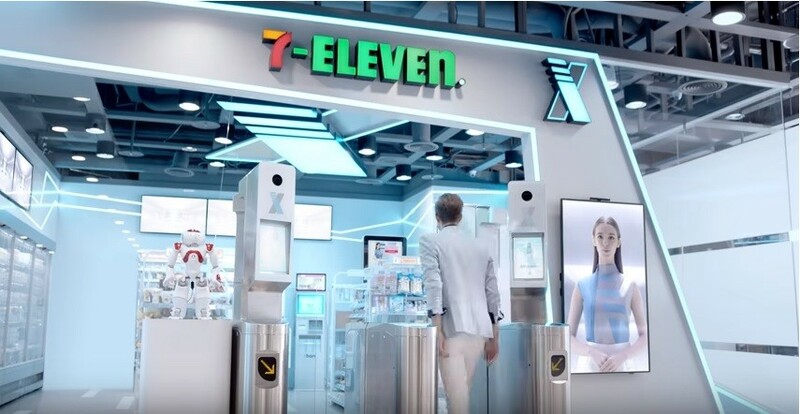 Screen capture from promotional video showing new 7-Eleven X-Store. 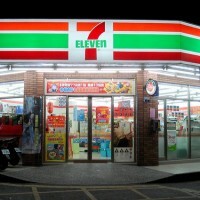 Video of the new 7-Eleven X-Store. Facing a rapidly aging demographic and the impact of new digital technology, Family Mart is expected to launch its first wave of technology concept stores in the first quarter and yesterday (Jan. 29) launched a video explaining the new innovations in automation. Family Mart estimates that through the adoption of IoT networking, big data, artificial intelligence (AI), and Radio-frequency identification (RFID), work processes will be streamlined enough to reduce the number of staff working hours by 858 hours per year. Family Mart said that the uses of IoT applications and electronic shelf labeling technology can trim off the 1.5 hours it normally takes to update labels on the 3,500 items found in a typical store every two weeks. In addition, Family Mart said that the use of AI technology with coffee machines can greatly reduce the burden on store clerks during peak hours. RFID technology can accelerate the process of receiving packages that customers order for pickup later. Video posted by Family Mart introducing its new technology concept stores.